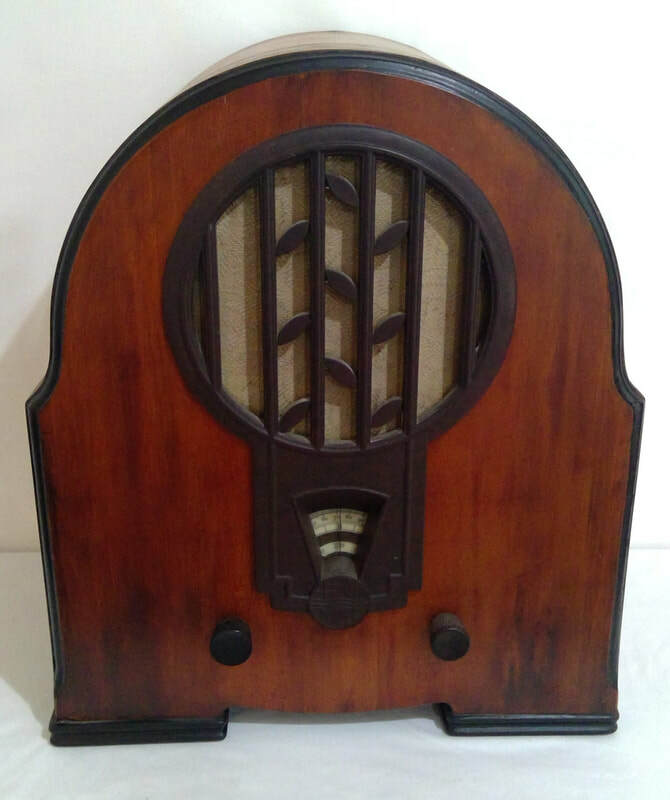 1938, model 470A-34, radio manufactured Philips Lamps Ltd, London, England. It is a table mantle, brown bakelite case construction. Dimensions (HWD) 290mm x 490mm x 220mm. 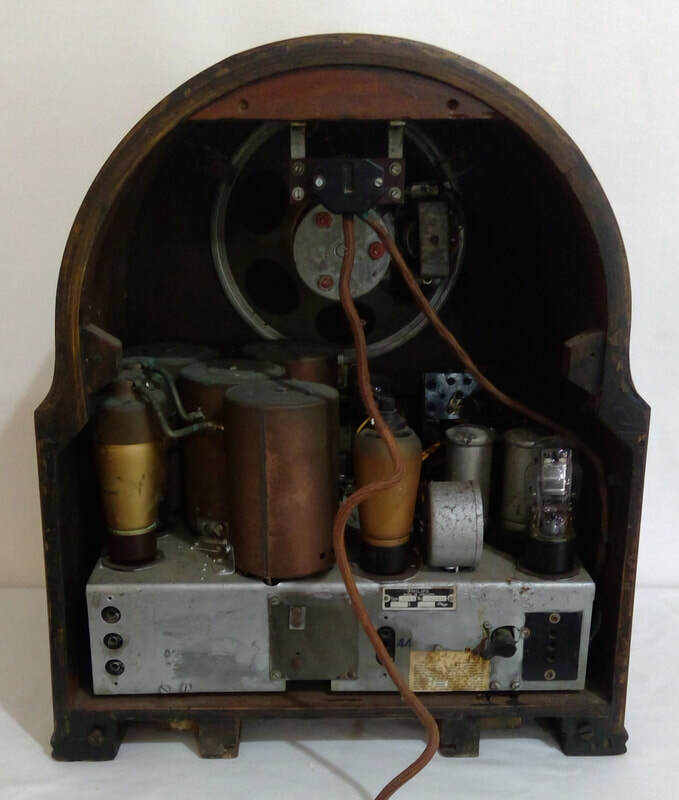 1933, model Superinductance 634A, radio is manufactured by Philips Lamps Ltd, London, England. It is a TRF with AC mains (230 volts). It has a 5 valve line up. 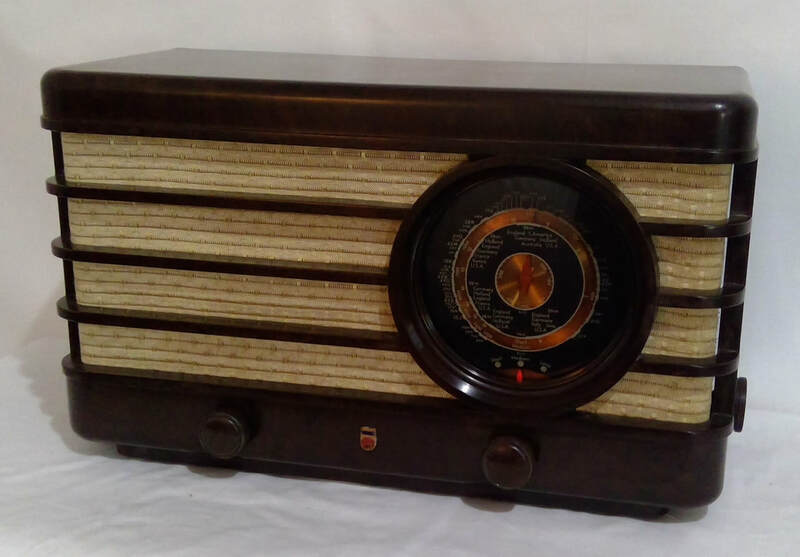 The style is cathedral mantle, wooden case construction with bakelite decoration. Dimensions (HWD) 483mm x 406mm x 267mm.